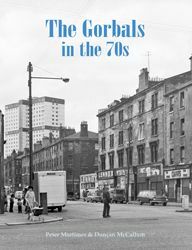 We published Eric Eunson's The Gorbals an Illustrated History in 1996 and it has been one of the most popular titles we've ever published. The photos in that book mainly concentrated on the period up to the 50s. This new book comprises exclusively photos from the 1970s in the day, months and years before the area was almost completely razed. Duncan McCallum's photos are perfectly complemented by the text of Peter Mortimer who grew up here and who offers both the historical and a more personal perspective. With about 180 photographs included this is book is great value and a worthy addition to any library of Glasgow books.